Attention Jewelers ! 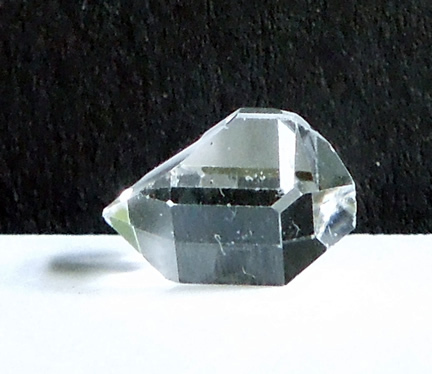 This Herkimer crystal is flat enough that I would consider it to have a tabby shape. 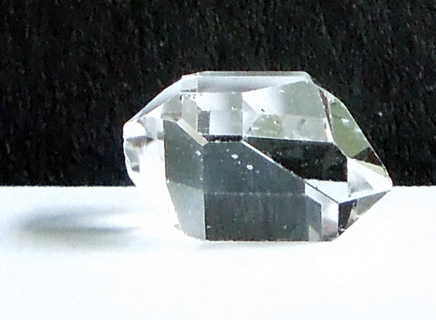 It's an ideal shape for anyone looking to set a Herkimer in a ring. 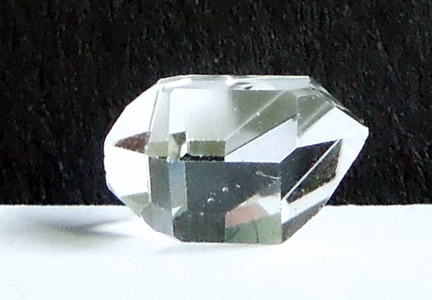 And fyi, the carat weight of a Herkimer crystal is equal to that of real diamonds. They are also more rare than real diamonds. 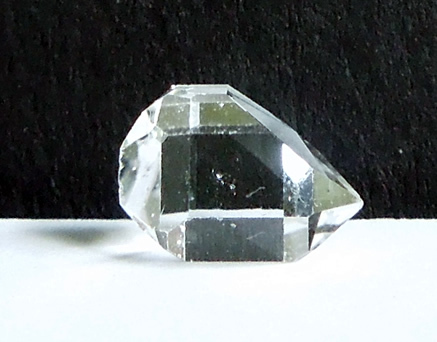 This particular natural gemstone is crystal clear. 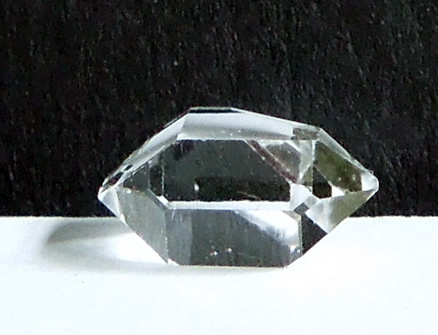 With a loupe, two teeny seed crystals can be seen. It's externally clean as well with one sharp tip and one chisel tip. 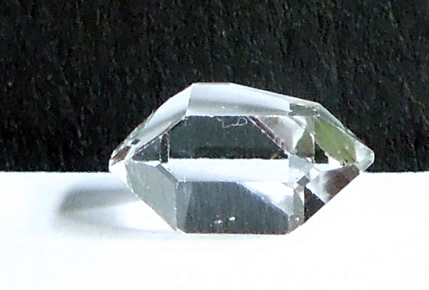 Activation facets are present as well and can be seen in the first, third, and bottom photographs below. 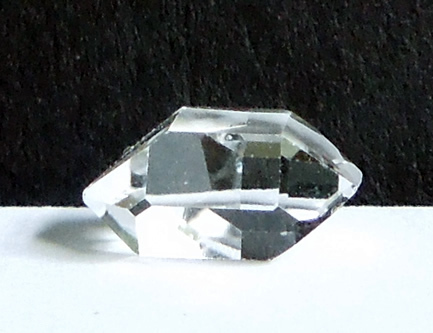 With it's tabby shape and excellent clarity it would make a stylish, yet simple engagement or promise ring. 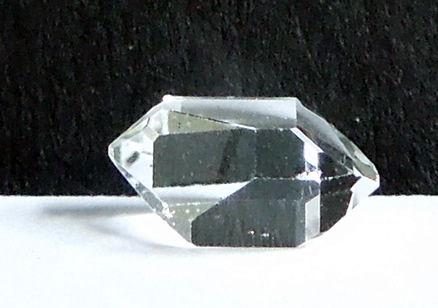 More photographs of this Herkimer crystal.